Crazy label alert! Ruironghao is a brand of the Ruirong factory. I've never heard of either, and so this was a real treat. As ever, thanks to CB for guiding my hopeless tastebuds around the extrema of the pu'er map. A solid orange soup confirms that this has had some maturing. 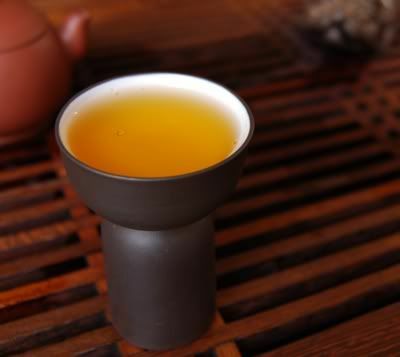 A long, low sweetness is to be found in the wenxiangbei [aroma cup], which is excellent. So far, so good - my attention is heightened! The flavour is low and broad. 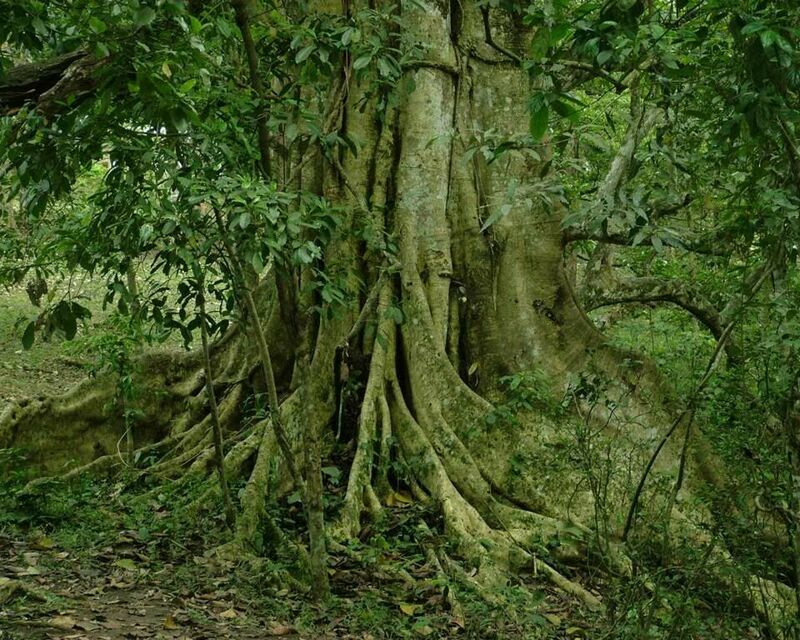 It has good sweetness and a thick body, finishing in a lively huigan. 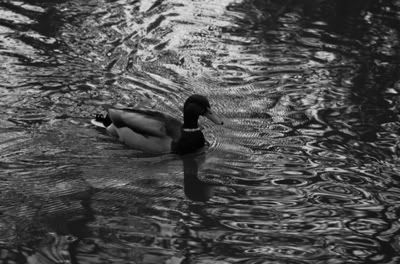 Noting that I was concentrating too fixedly on the sensations in my mouth, I broaden out the focus of my attention to take in my nose, head, bellow, and greater body. This seems to allow much more of the tea to be sensed. 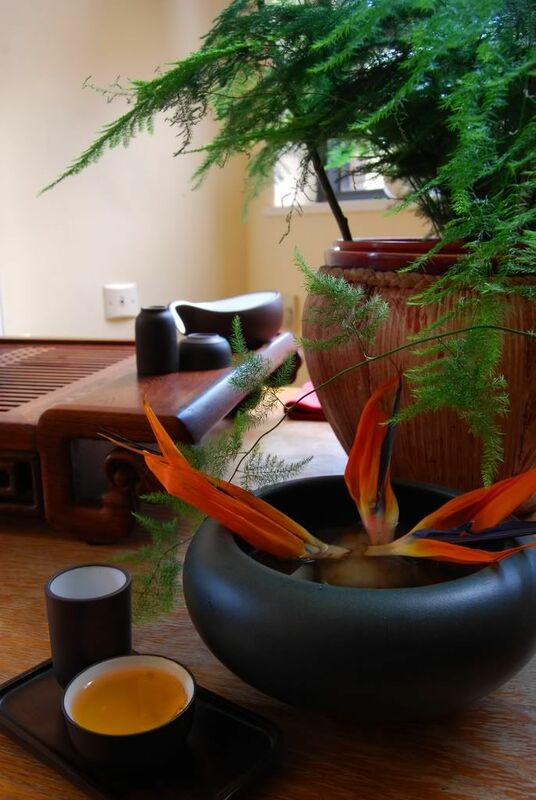 Particularly the chaqi: it is slowing and soothing. I suspect that my body is becoming highly susceptible to this effect, as I am coming to sense it more and more in pu'er of late. 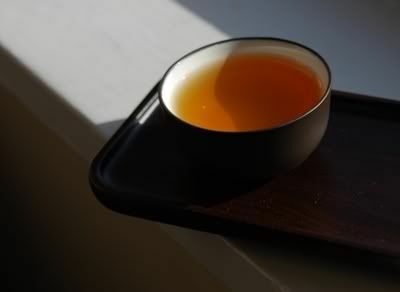 Some teas really slow... me... down... and make me feel profoundly, almost narcotically, calm. The flavour is quite depressed. 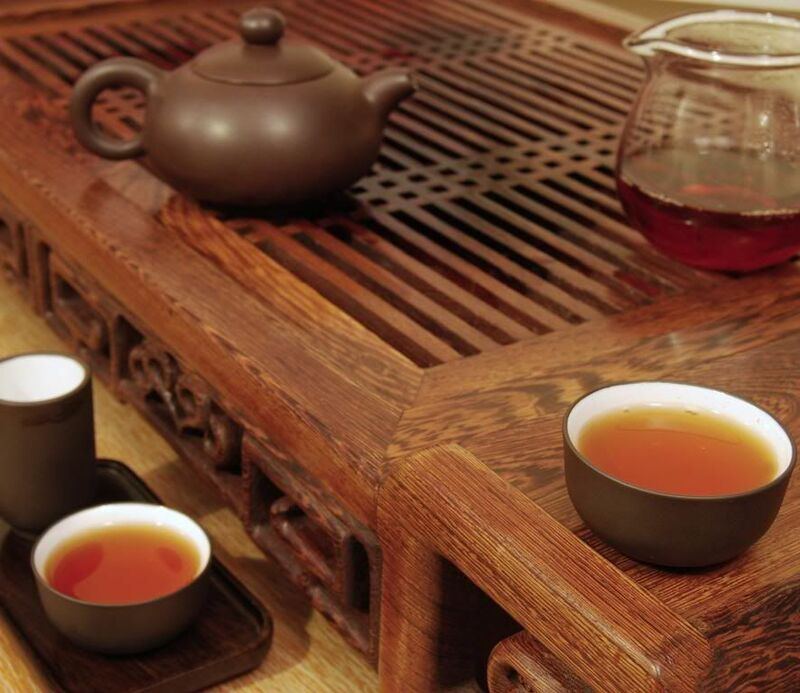 In texture, huigan, and chaqi, this tea is otherwise very enjoyable. CB wasn't tempted to buy this one, and I can understand. It promised much from its splendidly complex aroma, but the flavour is hollow. Almost an excellent tea - but not quite. Nonetheless, a thoroughly excellent start to the afternoon. 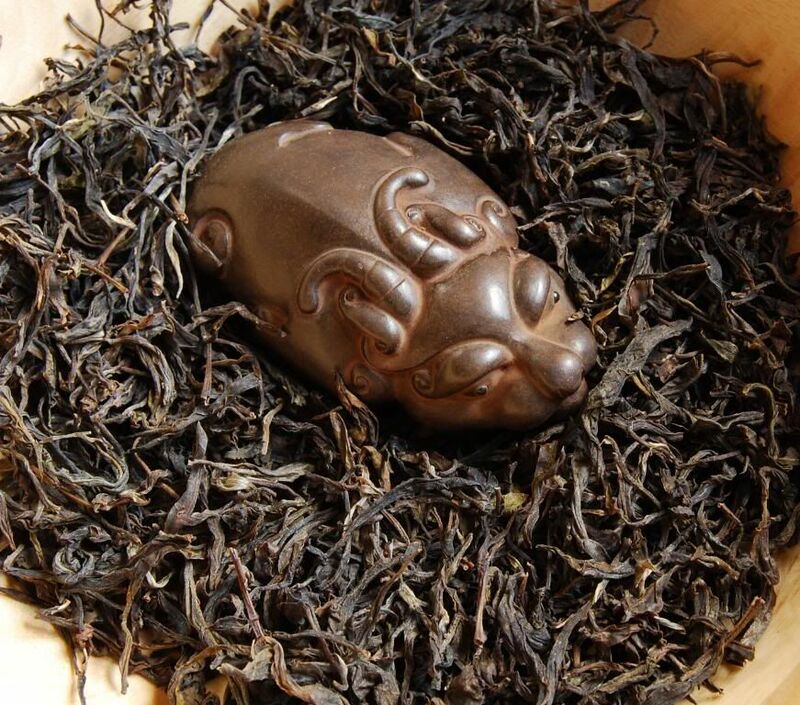 Bainian [100 year] gucha [ancient tea]. A bold claim. 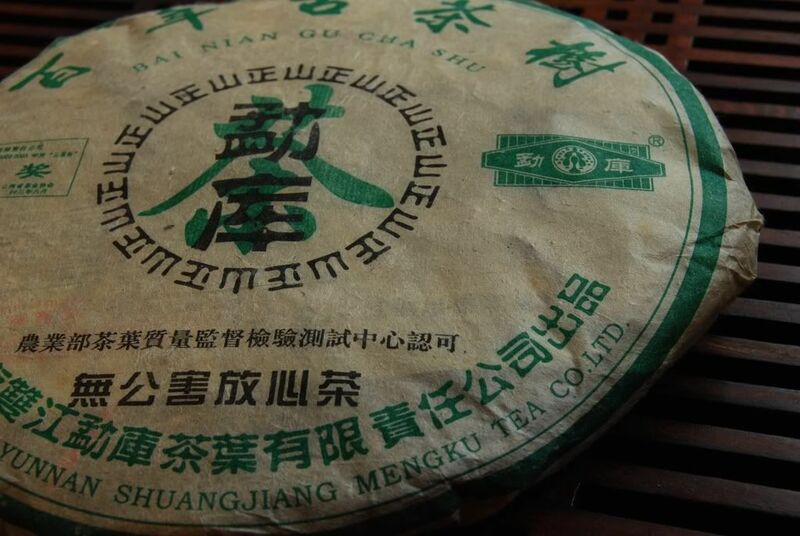 I rather like Shuangjiang Mengku products, and so I'm very much looking forward to trying this tea. 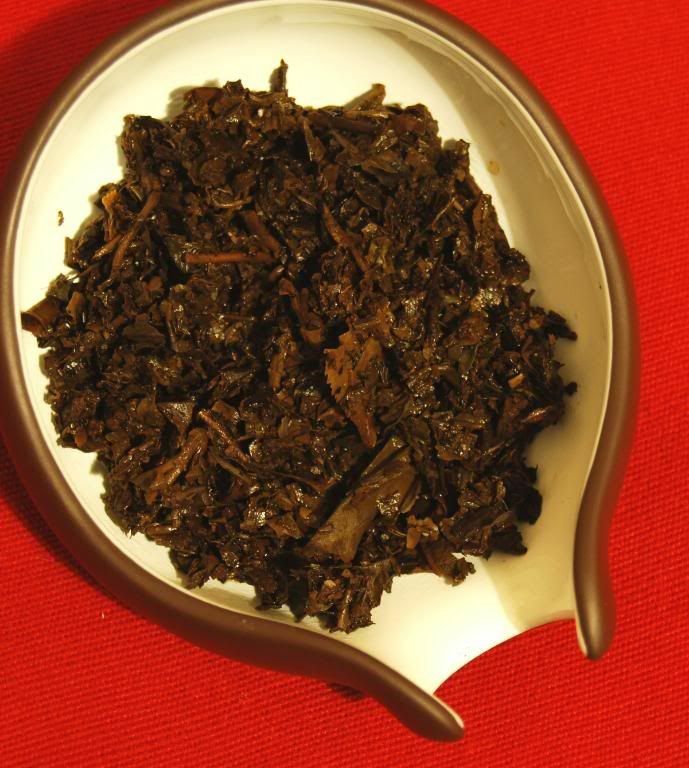 The leaves (below) are rich and tobacco-like in scent, a fine start. They are tippy and small, but not too small: I see larger leaves and segments in the blend, raising my hopes of a complex, enjoyable cup. It is pretty to look upon, being covered in silver fur. Some darkening of the leaves has occurred, but without the true orange/red of age. Correspondingly, the soup (shown below) is just beginning to turn orange. 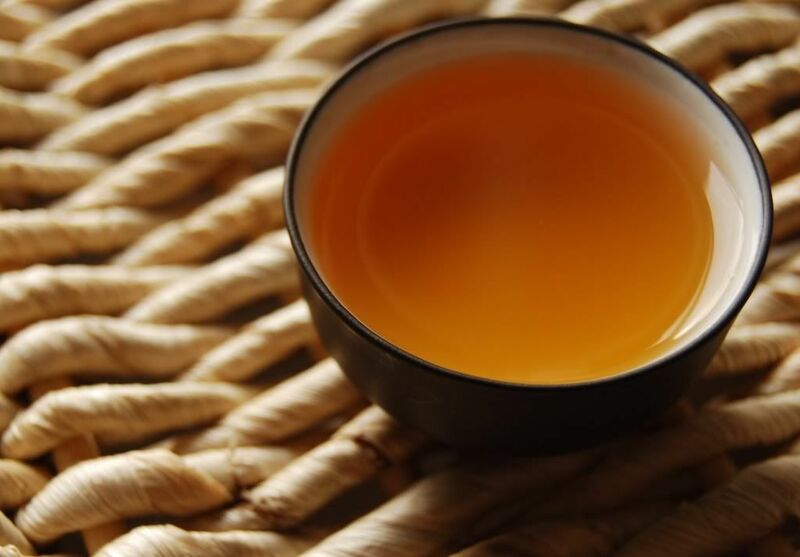 It has a long, low aroma of sweetness in the wenxiangbei [aroma cup]. 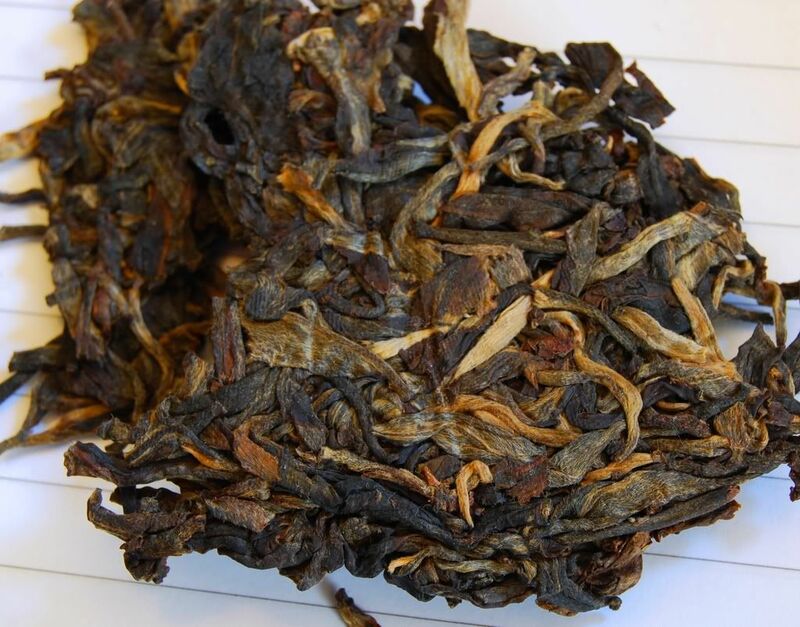 This is a "genre tea": if you liked the 2001 Menghai "Special Edition", you might enjoy this one. I did (very much), so I do. 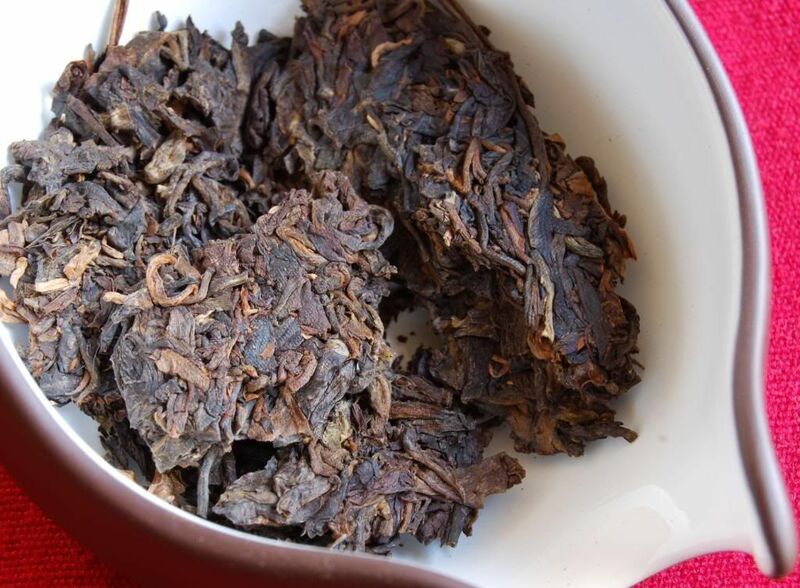 From the first sip, it has a meaty, almost barbecued, flavour, with green tobacco underneath. 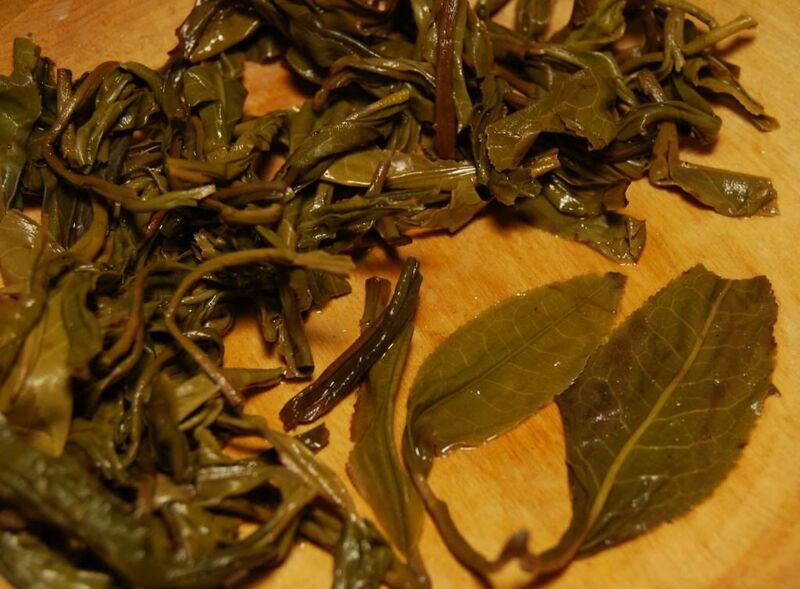 There is a hint of hongcha about it, which presumably derives from some cheeky early oxidation prior to steaming. That's fine, it's very tasty. Flavour aside, this tea is seriously narcotic. My body reels and swoons with an ubercalming sensation. 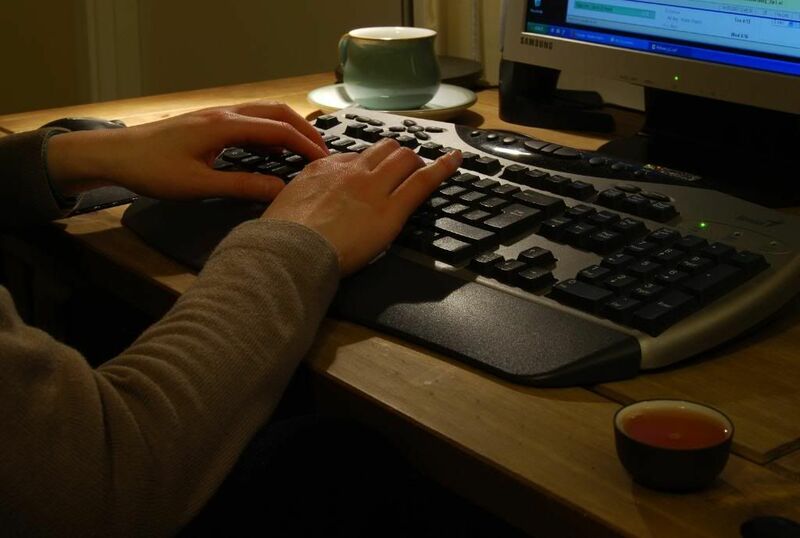 It feels as if the blood pressure is being dramatically lowered, as if my feet were in a hot footbath. It makes me breathe out a deep sigh. The feeling is pronounced, highly significant, and really very enjoyable. Is this legal? In conjunction with the superb soothing quality is a brightening, enlivening sensation (perhaps from the caffeine). This is the magic of pu'er: it pulls you down and soothes, but it simultaneously pulls you up and energises. I feel as if I have taken a draught of magic potion. Later infusions see the pleasant, vibrant soup dimming a little in flavour (as anticipated), and yet that narcotic soothing sensation continues unabated. Highly enjoyable, and worthwhile pursuing. This cake was consumed the morning after a Very Serious interview. I couldn't sleep, woke long before dawn, and needed some excellent tea to see me through. I went to the centre of my "Shuangjiang Mengku" stack. The leaves are long and, now, dark brown in colour. As I separate the leaves from the cake, I constantly run over phrases from the interview in my mind, wishing I had said this, wishing I hadn't said that. At the time of drinking, I had not yet found out the result of the interview, and was hanging in "limbo". This cake did much to soothe my mind. The heavy and spicy nose rapidly becomes sweet; the colour, likewise, is as you might expect, being a heavy orange. Deep and rich in its tobacco character, this has a clean and energetic body, with a good huigan [returning sweetness]. It seems that I had a good day back in 2008, when I asked ST to kindly buy a trio of them for me! 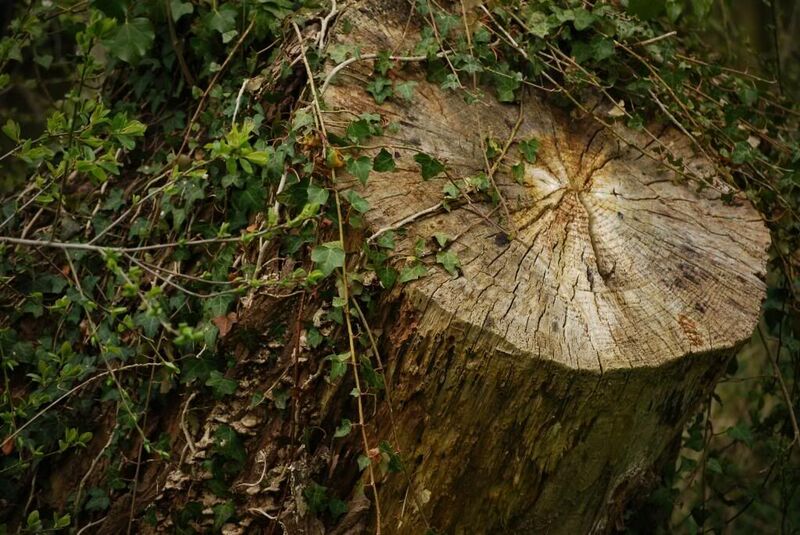 They have aged well, being smooth and precise, and rather woody. They are not "premium" cakes, but you don't expect such things from Shuangjiang Mengku: what they provide, they provide at excellent value. "Aging potential remains", I noted in my journal. An old favourite tea, originally bought from Houde, I have recently bought more of the 2001 Xiaguan "Baoyan" from Skip4tea, a Malaysian company. I recently revisited my Houde Baoyan for comparison with the brick from Malaysia. The leaves of the Malaysian-stored brick look darker than the Texas-stored Houde brick. Also, the scent of the Malaysian is more obvious, jumping from the leaves. However the storage has differed between Skip4tea and Houde, the Malaysian brick has come out trumps. The pair look identical in composition, being the usual mixture of mulch, stems, and "yellow leaves" - typical Xiaguan. The brew is orange, already aging. A beidixiang [cup-bottom scent] of sweetness and shicang [wet storehouse] become a lengxiang [cool scent] of low, sticky sweetness. Good old Baoyan. 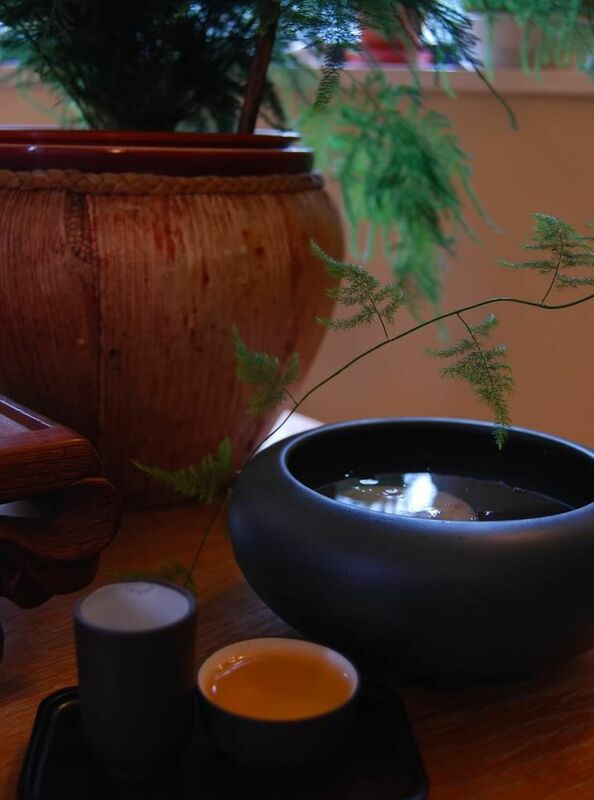 Baoyan is one of my go-to teas, particularly on rainy days when I need warming and cheering. 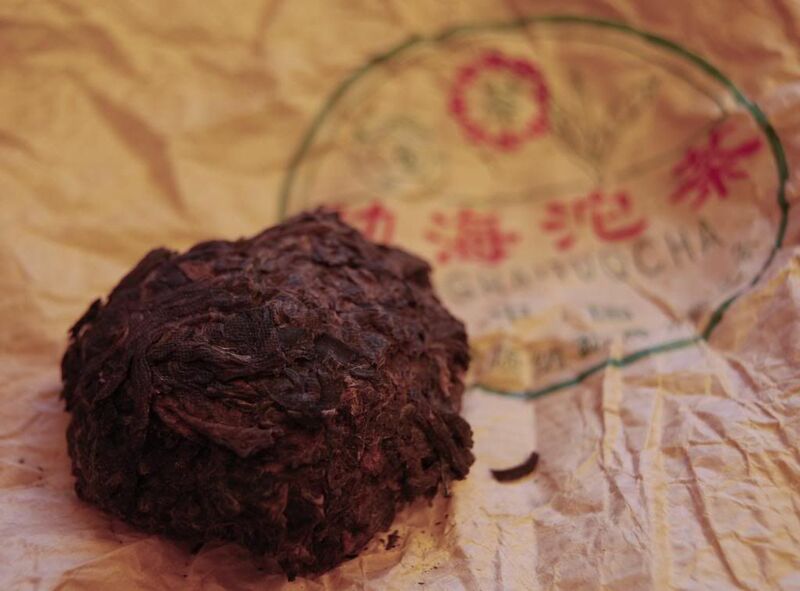 It has tons of chaqi, and is a rounded and pleasant mouthful. Acidity and huigan are present and correct. After two cups, I am already reeling from the chaqi. Cloudy soup is par-for-the-course with this untidy tea, and whopping great piles of sediment accumulate in the hulu [gourd filter]. I empty it every other infusion, never ceasing to be amazed just how much sediment drains out of this tea. I wouldn't like to pour this directly from pot to cup. Never be too proud to remove some leaves, this is something that I have learned... eventually. I used to try muddling through, if a brew was simply too strong. Just removing some leaves (maybe 10-20%) and parking them in the chahe works wonders. I usually re-introduce them to the pot when the infusions are wearing a little thin. 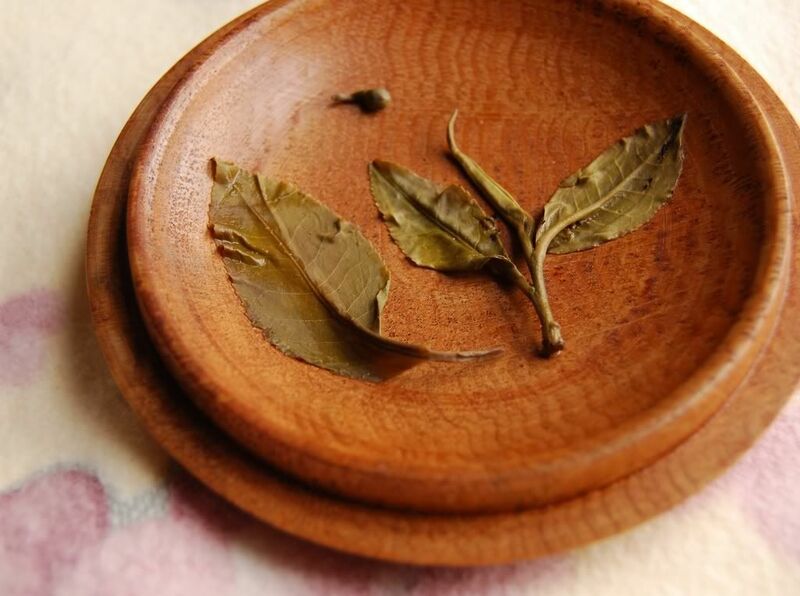 As with all other compressed teas, I use far too many leaves for my Baoyan bricks. They typically expand to fill the pot, and push on the lid. I steel myself, grit my teeth, and overcome the urge to just muddle on, removing some leaves. The brew returns to its full flavour. "Yes, this is good tea", says my dear wife, after I have removed some leaves. Never overly complex, Baoyan isn't aimed at being a refined and subtle treat: it's aimed at being stored and brewed Tibetan style. It is sweet and I enjoy it greatly, and this particular brick has reached the precise maturity that I most enjoy (being older, yet retaining some youthful acidity). 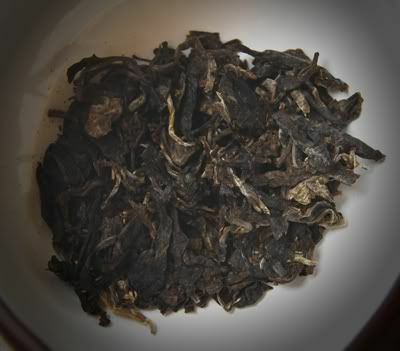 This is pu'er of the old school: messy leaves (shown above), cedarwood character, some sweetness, and maybe a tad simple. I love it. 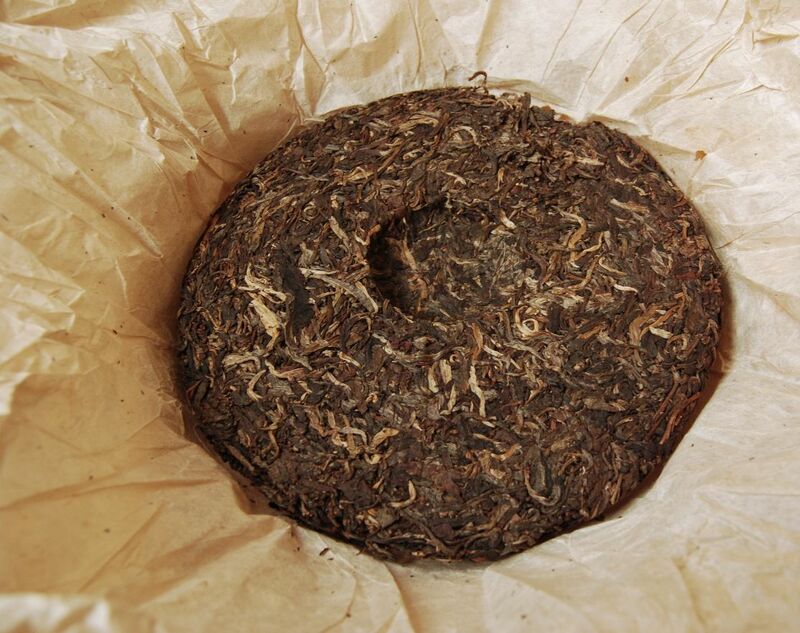 Teji being "special grade", this tiebing [iron-pressed cake] is £24 and £30 at Yunnan Sourcing and Dragon Teahouse, respectively. 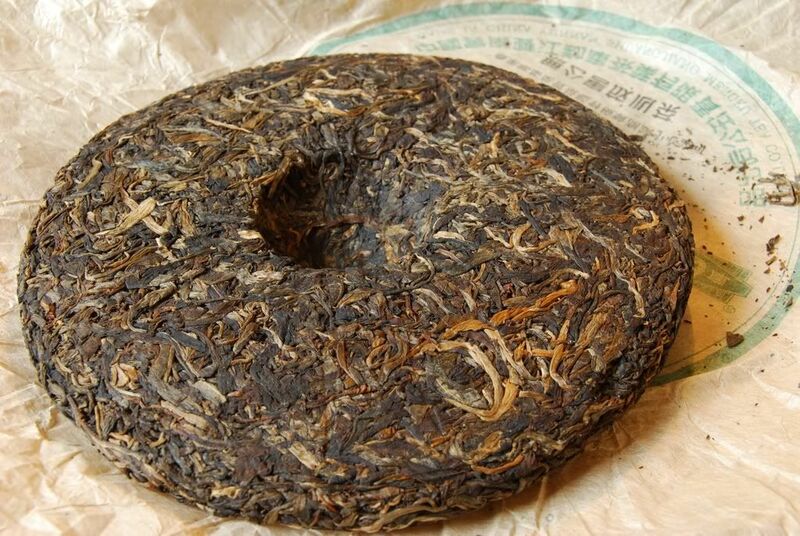 2003 was the first year that Xiaguan produced "Teji"-brand tuocha, and this cake is made from the same (2002 spring) leaves. Thanks to TA for kindly providing the sample. 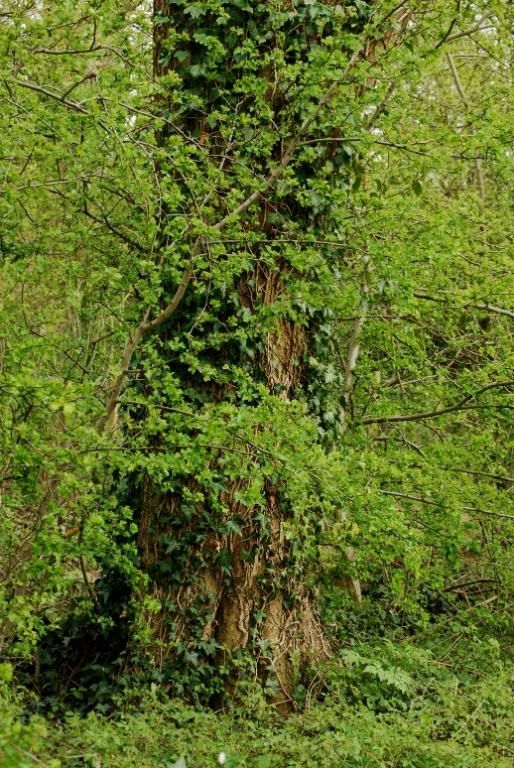 The leaves are "believably Xiaguan", being consistently tiny (seen below). They have little aroma, but have the red/orange colour of proper age, rather than the curious green darkness that one finds in some more recent cakes. 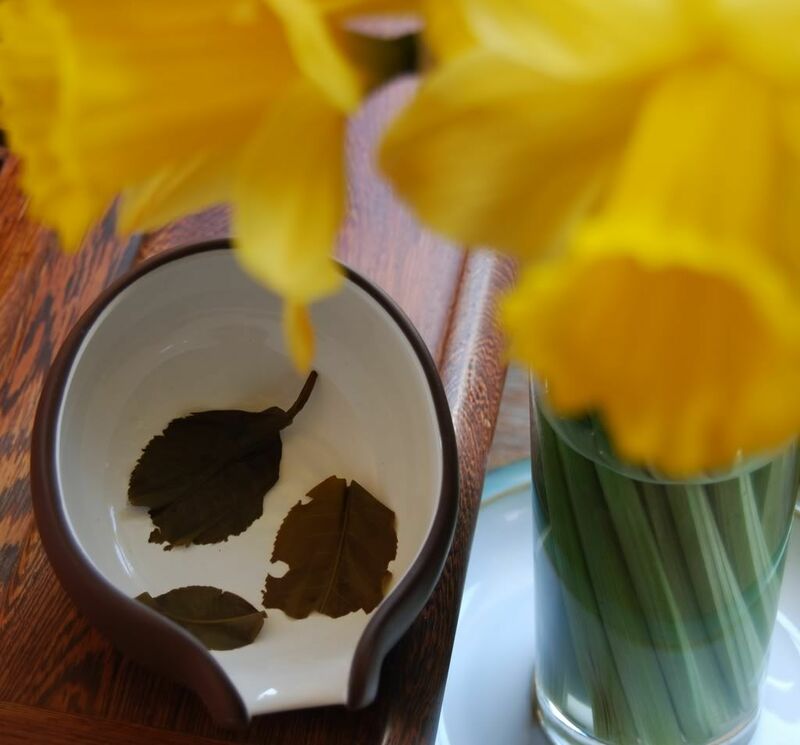 Stems and "yellow leaves" abound, Xiaguan teas are ne'er too pretty. What really counts is what happens in the pot, of course, and Xiaguan are often no slouches in this area. The colour in the gongdaobei [fairness cup] is orange, but when poured into the cup, it has a green tinge. 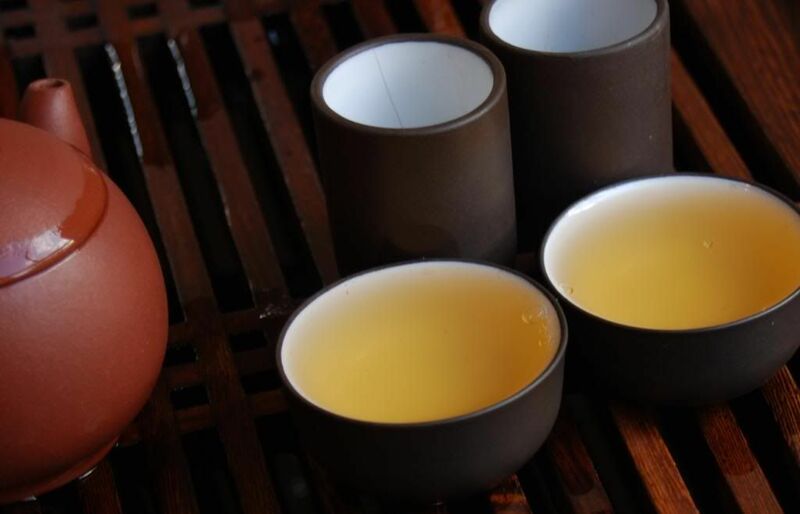 The gongdaobei colour is dominated by the major component of the colour, I reckon, while the cup contains a thinner brew and allows a different assessment of the colour. This tea is very, very familiar. It reminds me of the endless Assam / Nilgiri blends that form the majority of teas consumed in England. The bran flavour and astringent character of Assam are present in abundance - maybe this would, dare I say it, benefit from the addition of milk. I change pots, from my regular 12cl shengpu pot down to an 8cl version, making for a much lower water:leaf ratio. This benefits the tea, with some improved sweetness on top of that bran flavour. The result in all brewing configurations that I tried was, however, still rather ordinary. I am naturally biased against Assam-style blends, so perhaps this could prove more interesting to those that enjoy such styles. Not one for my collection, let's say. 2007 Shuangjiang Mengku "Muyechun 001"
The Shuangjiang Mengku factory in the Lincang area is famous for its Mengku Rongshi brand, but in 2007 a new brand was introduced: Muyechun. This secondary brand is produced from a sub-branch of Shuangjiang Mengku, recently opened in Yongde - still in Lincang, near the Myanmar/Burma border. 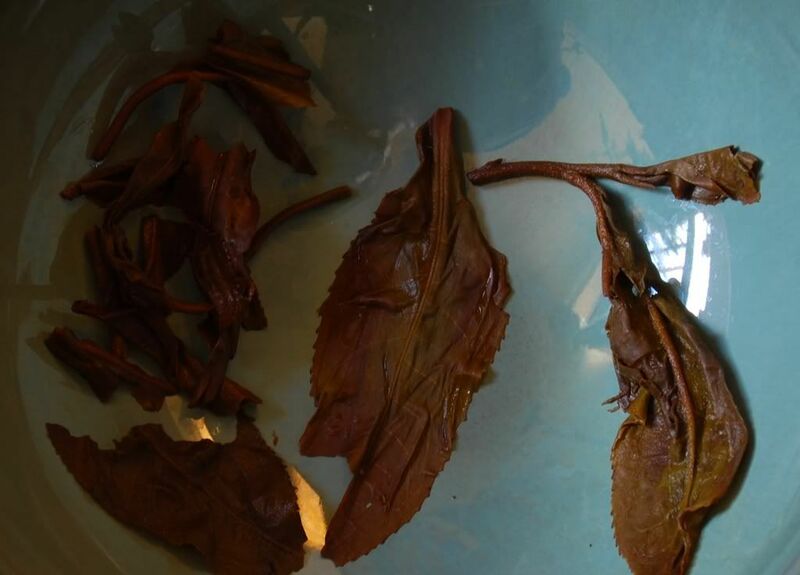 Two recipes exist for this year: the "001", which is the tea described by these notes, and the "002" - the former is supposed to be more tippy, the latter to consist of larger leaves. 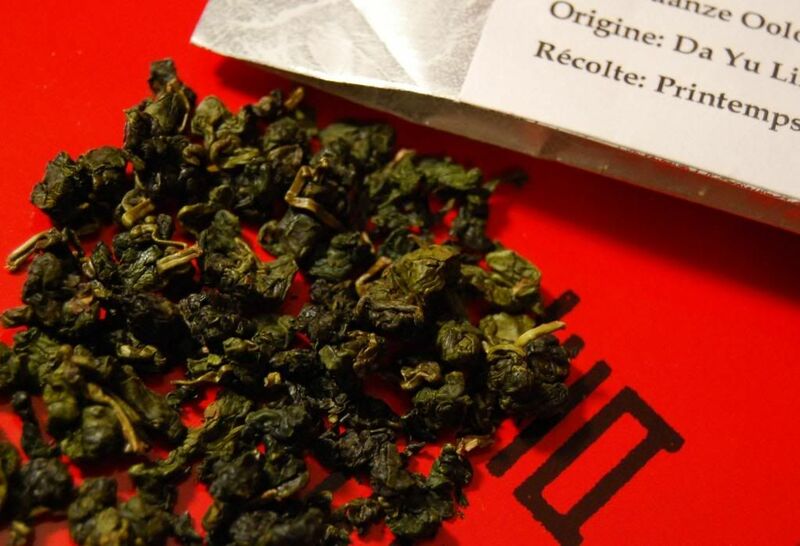 I often find tippy pu'er to lack depth, so my default tastes might lean towards the "002" a priori. Many thanks to the generosity of TA for providing this tea. These notes are based on two separate sessions with the same tea, as is my current habit, in order to provide representative notes. 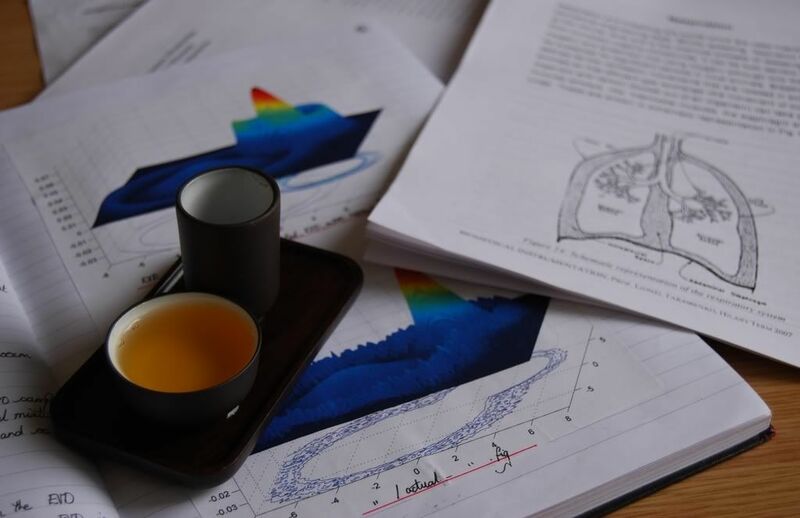 I often find variance between sessions, usually based on differences in my own nature when I come to the tea-table: some days calm and bright; some days tired and looking for some refreshment. This affects how I receive each tea. 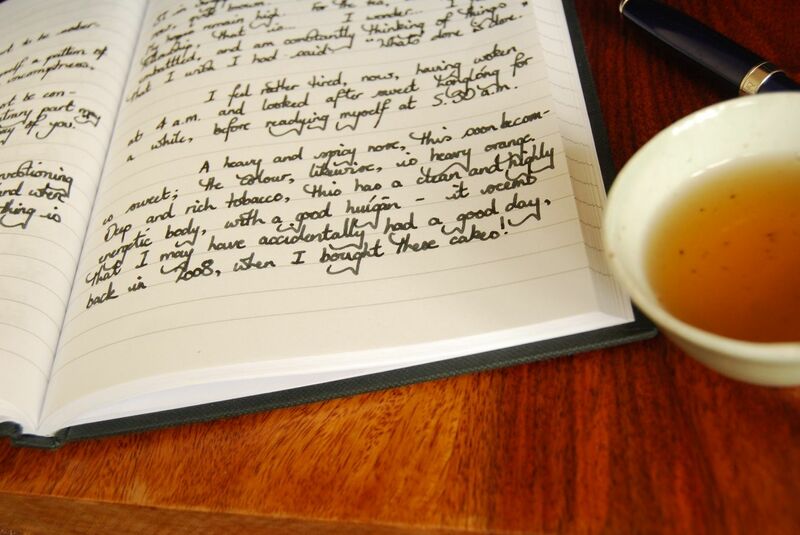 The two sessions which formed the notes for this tea were polar opposites. In the first session, I loved this tea and thought it to be an absolute steal at £9. In the second session, I found it to be crushingly ordinary, and barely worth £9. Between the two sessions, the only difference was in myself: water, pot, leaf quantity, and brewing methods were identical. The compression is perfect: the leaves (pictured above) separate easily, without tearing. 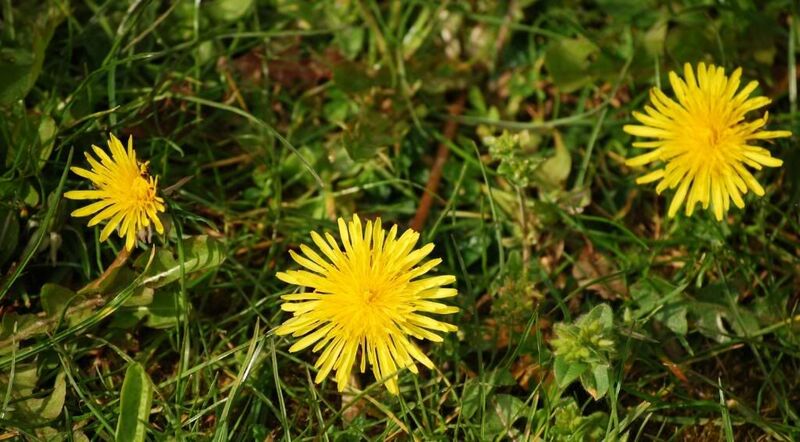 As advertised, the leaves are very small, consisting almost entirely of tips. A clean aroma of very green maocha hangs about the dry leaves. Similarly in this first session, I found long, long, long notes of pleasant mushroom flavour in the mouth, eventually ending in a very pleasant huigan. Very "beany" and broad, I liked it very much, and already planned a purchase. In the second session, the next day, I was joined by my dear wife. After having talked excitedly about this new find, the tea really disappointed: it was flat, thin, uninteresting, and thoroughly ordinary. "Curiouser and curiouser", as Alice might say. The tiny wee leaves are shown above, and they are healthy enough - being strong, and quite thick. A third session is needed to arbitrate between these two opposite experiences. I very much hope that the first session turns out to be the more representative, as I can still recall the pleased feeling that I had that first time. A maocha from Puerh Shop, seemingly selected by the proprietors while visiting Yunnan, this is my first encounter with tea connected to Mangbo, to my knowledge. The soup is a curiously luminous yellow - it is very bright, with a tinge of actual green in the gongdaobei (not shown below). "Fishy", says my dear wife, of the aroma. 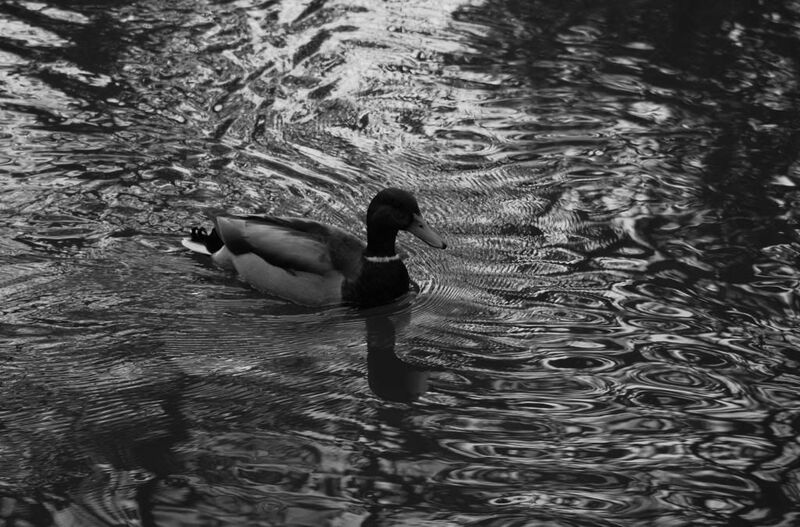 I found it long and sweet, but quiet. The actual soup was a lot like the scent: hesitant, thin, but fresh. The flavour was very green: all leafiness and lucha, with tons of vibrant energy as it impacts the tongue. Brewing this tea in short infusions seems to be the order of the day. It would be churlish to criticise this tea, given its extreme inexpensiveness (under $6/50g). I struggle to think what one can buy for the same price here in England. Whittards would quite happily sell you 10g of something crushingly average for the same price. As such, it would make a solid background tea for an office. 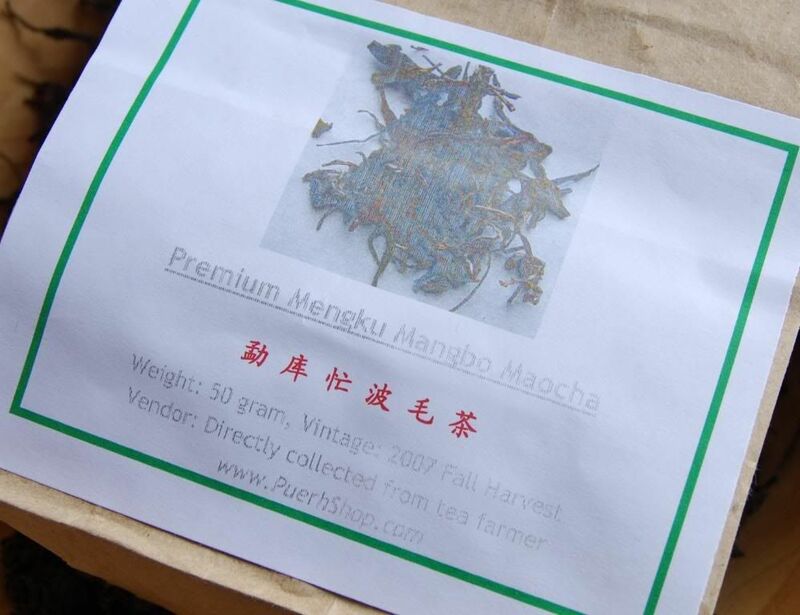 Many thanks to Nada for this tea, which was bought at Yunnan Sourcing, where it is claimed that this is Spring growth from 60-70 year trees, allegedly limited to 400 Kg. This is a great little tea. I have tried it several times, and these notes represent the mean average of my observations. 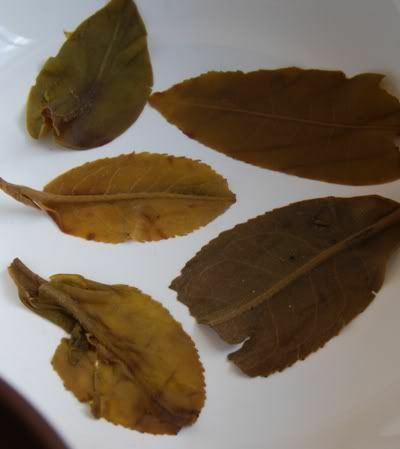 The leaves are small (pictured above), certainly being a Spring growth, which have a classic sweet pu'er aroma. The scent is invigorating, and makes me very interested in the tea. Already, they are handsomely dark. There is much "in the cup", my new favourite metric. The initial scent is a distinctive, unusual dry-grain. The flavour is correspondingly dark, low, and gently sour, with a rousing huigan. The mouth waters, the sour character draws me in for many infusions. Plenty of appealing acidity (in good proportion) and a rich, leather-like aftertaste can be found. What a satisfying little creature this is. Hideously inexpensive, this is very appealing both to my desire for interesting tea, and to my wallet. It represents excellent value (being a humble £15 - the cost of a solid bottle of wine). The rolled balls (in all their ballesque glory, below) are dark and dense, which I take to be a good sign. The aroma is superbly buttery. An extraordinarily clear soup shines a brilliant yellow-green (below), the kind of colour tea that moved Lin Yutang to write so often in The Importance of Living and My Country and My People (both essential reading). 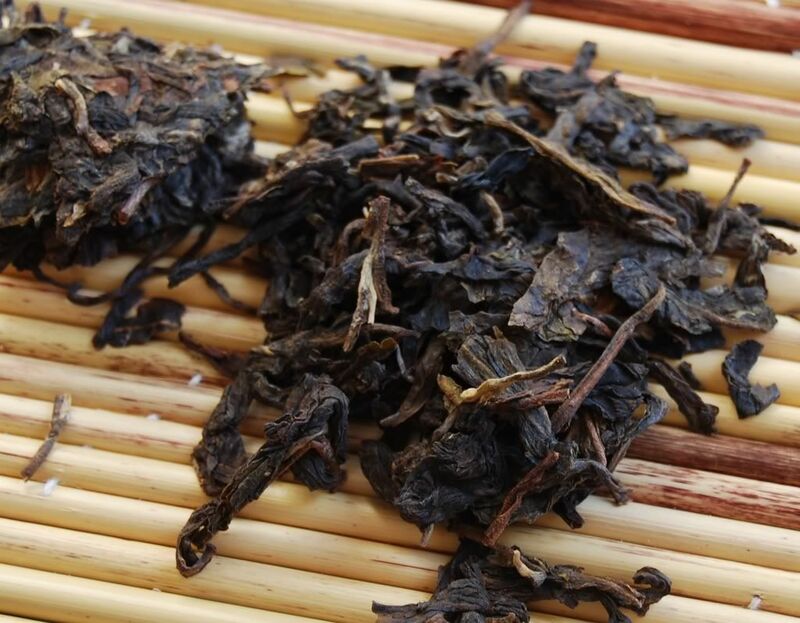 The aroma builds to a sustained crescendo in the wenxiangbei; I sniff large nosefuls as if sipping from the brew. 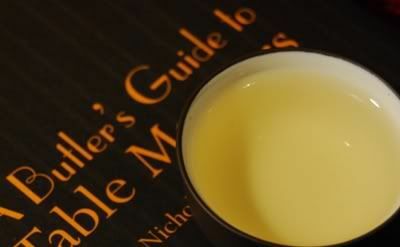 The soup itself has a penetrating sensation in the mouth, that tingles the lips and tongue, which I usually take as evidence of healthy leaves and good growing conditions. 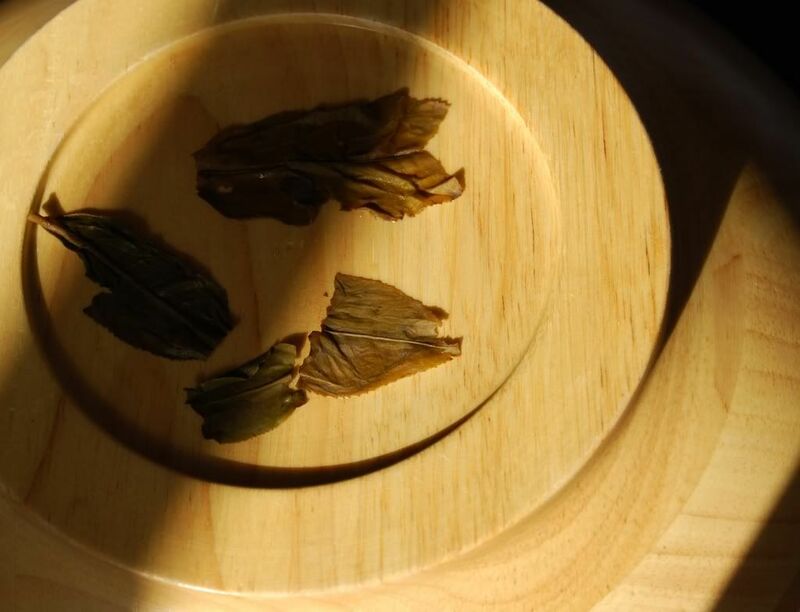 Though not attaining the unscalable heights of my beloved 2004 Dayuling, this is accomplished tea: the roast is light and almond-like, skilfully blended with the buttery characteristics of the leaf. Beautiful triple-leaf stems (shown above) testify to careful picking and handling. I enjoyed this tea very much indeed - thanks muchly to SE for a sincere treat. 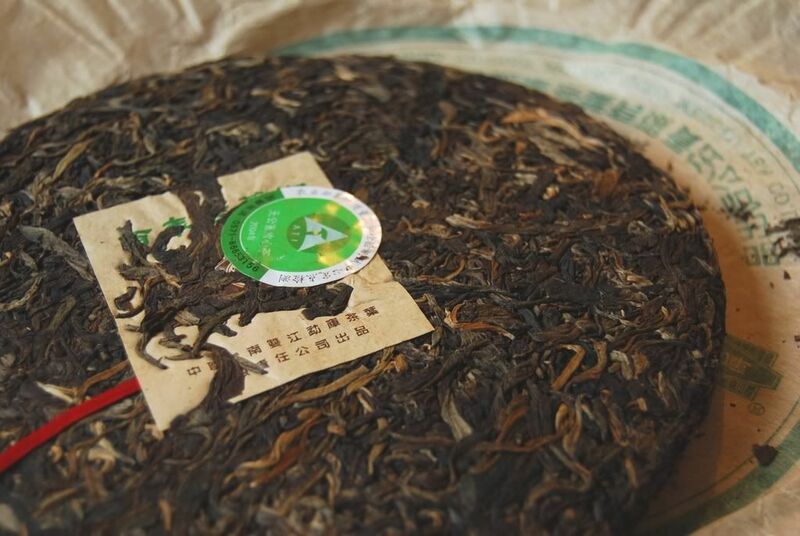 A while back, we encountered the "blue/black label" version of the 1999 Menghai "Big Green Tree" [a.k.a. 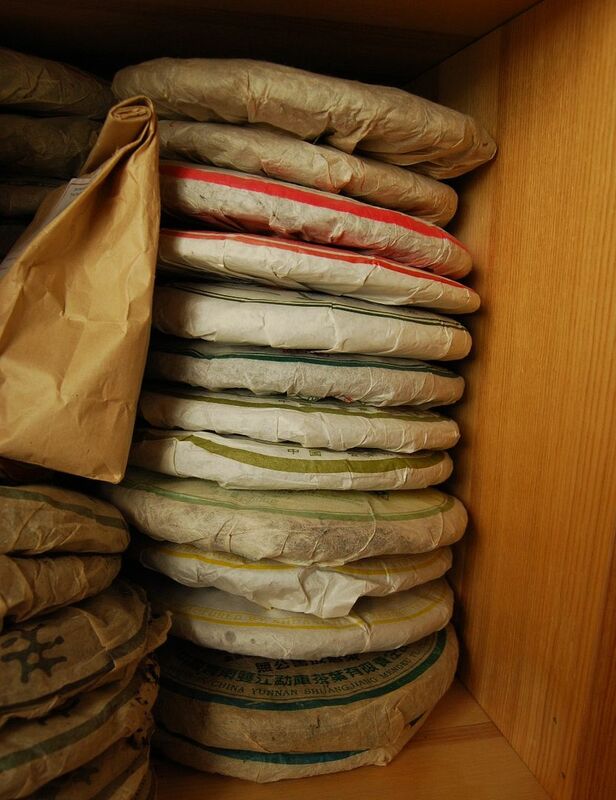 "Dalushu"], the acclaimed landmark tea in terms of dry storage. It was big, not so green, and not at all treelike. Very many thanks to CB for kindly providing this opportunity to try out this alternative version for an invaluable comparison. We found the blue/black label version of this tea to be a bit of an anticlimax, finding it simply high and sweet flavour without any real guts. I firmly believe that in tea, as with most other ventures, exposure and familiarity and experience count for a great deal. 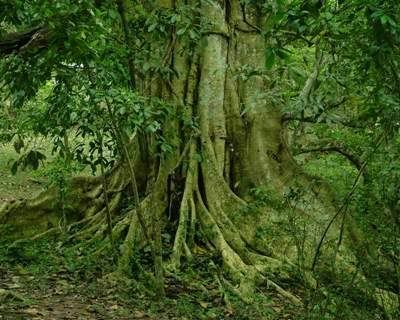 To that end, I try to drink a wide variety of teas that interest me - in that regard, the Big Green Tree is fascinating. However, I wouldn't want to own any of this and drink it for fun - while it's nice tea, it isn't exciting, and in the end that's the key factor in determining whether we should pursue it (especially when weighed against the truly eyewatering market rate for this tea, courtesy of its history). I'm content to drink a sample of this tea, expand my tastebuds a bit, then bid it farewell. It's my habit to turn out my entire sample to enable as many leaves as possible to be seen in the photograph - please don't use this quantity of tea for brewing. I had an e-mail on this subject recently! For the record, I used about half of the above for the session. 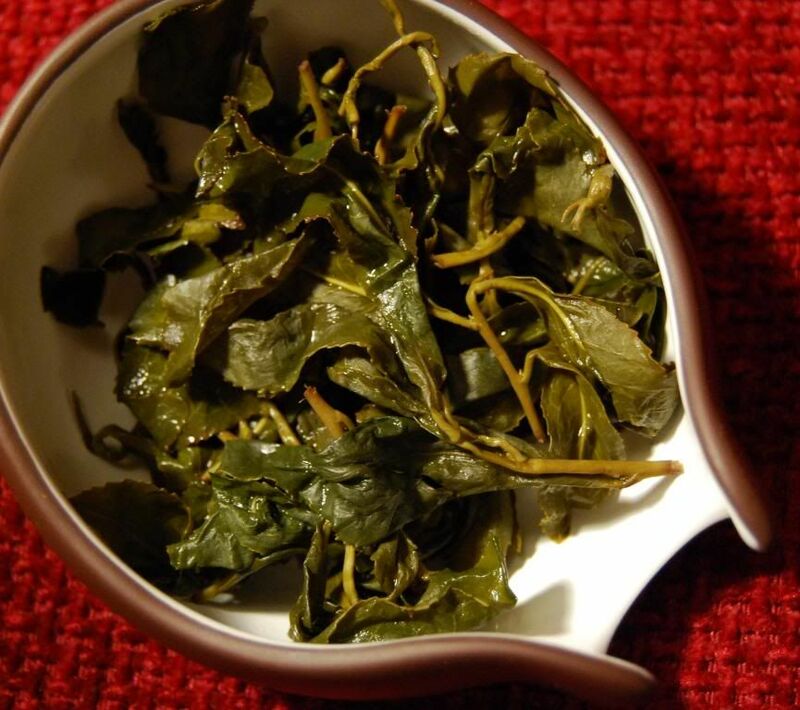 As always with dear old Menghai, the leaves are small and fragmented, with a darkly sweet aroma hanging about them. The colour is red-orange, indicating some proper aging. It's officially Spring - the daffodils are in full bloom. The tea turns out to be a pleasant orange, a colour representing steps out of youth and into maturity. The aroma is very clean, and quite malty. In the mouth, it was, being frank, rather a disappointment: clean flavours, decent potency and acidity prevail - and yet there's nothing really to keep the interest. It comes and goes without being too exciting, and I am left suspecting that I might be sorely disappointed if I had paid $400 for this tea. There is no doubt that Menghai use decent leaves - the vibrant energy on the lips is considerable, and there is a long, long huigan. 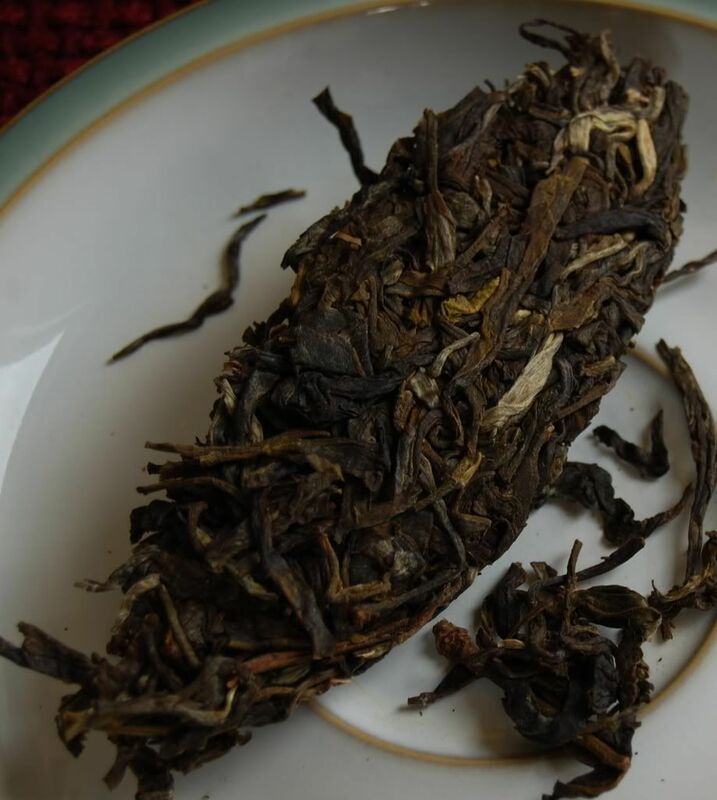 "It's rather medicinal and simple, and doesn't seem as aged as the tuocha we had last night", says my dear wife, comparing it to the 1998 Menghai "Peacock". Succinct and accurate as ever, I can only agree. This tea has aged slowly, and this could well be due to its purely dry storage. Sister teas from the same period (such as the 1998 Menghai Peacock, the 1998 Menghai 8582, the 1998 Menghai Dayi, the 1998 Menghai 7542, and the 1999 Menghai 7542) seem darker, richer, and exhibit considerably greater chaqi, as if they had an aging advantage - presumably due to wet storage occurring for at least part of their past (even though years of dry storage could have taken away the tell-tale dampness). Independent of storage, I suspect that the real reason this tea seems one-dimensional is the ubiquitous use of tiny leaves, as shown above. It feels as if it needs something else, something additional, and I wonder if that could be some larger leaves. As with the blue/black label version, I feel rather heretical saying such things about an industry benchmark tea, hence the "killing the Buddha" article before. However, I would be dishonest if I claimed this tea was anything but unexciting, so there we have it. Thanks again to CB for the excellent continuing education in tea! The 1998 "peacock", my first proper love in the world of tea - it was the first pu'er that I bought. Just a single tuo of it. One tiny, weeny, 100g peacock. I looked back through my old diaries to find my original opinions of it: I had to go back to Book No. 17 (and I'm just starting No. 31). I notice on the original notes, some overwritten parts in a different pen as I have revisited it over the years. Some notes say "just straw - uninteresting", some seem more encouraging. Noticing the remains of this tea on my shelves, that has such a singular place in my affections, I thought it time to revisit. How has it been doing for its years of English storage? 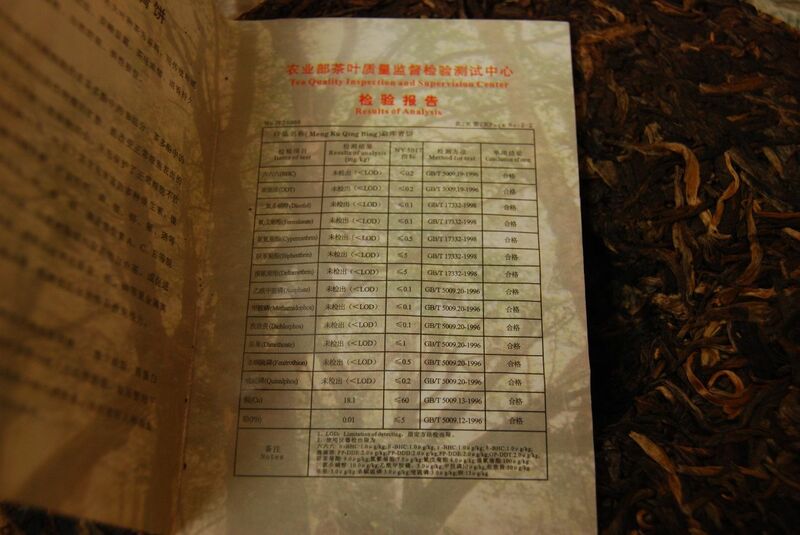 Unsurprising for Menghai tuocha, it's a highly-compressed collection of small leaves and small fragments (above). It has a gentle, sweet scent. 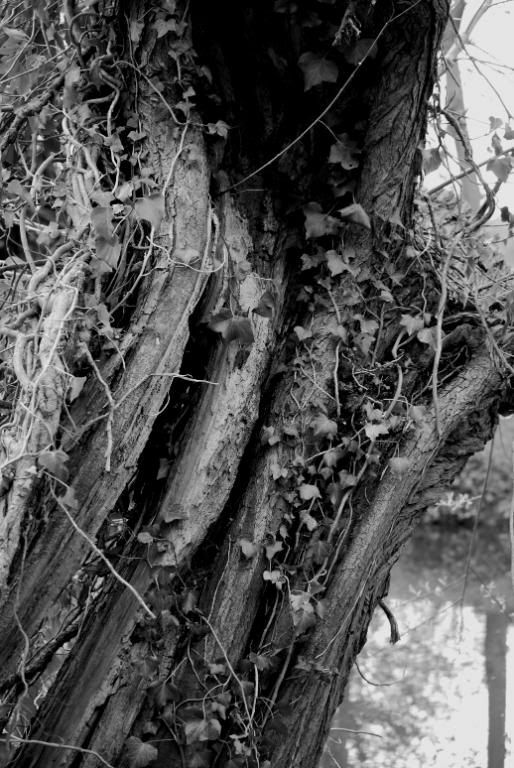 The leaves have a proper darkness about them: not the darkness that one sees in modern leaves after a year or two, but the real orange-red darkness of leaves with some maturity (if only a decade, surely just an instant in some long-term collectors' reckoning). The aroma in the wenxiangbei [aroma cup] is a crisp, dark aroma of caramel. I'm glad that the clarity of dry storage is proving to be possible, even out here in the barbarian Saxon wastes of England. The soup (pictured above) is turning a pleasant orange-red hue. I've seen lots of teas with this colour (usually of around a decade or so in age), but this is the first tea that I feel a connection with, having partly reared it myself. 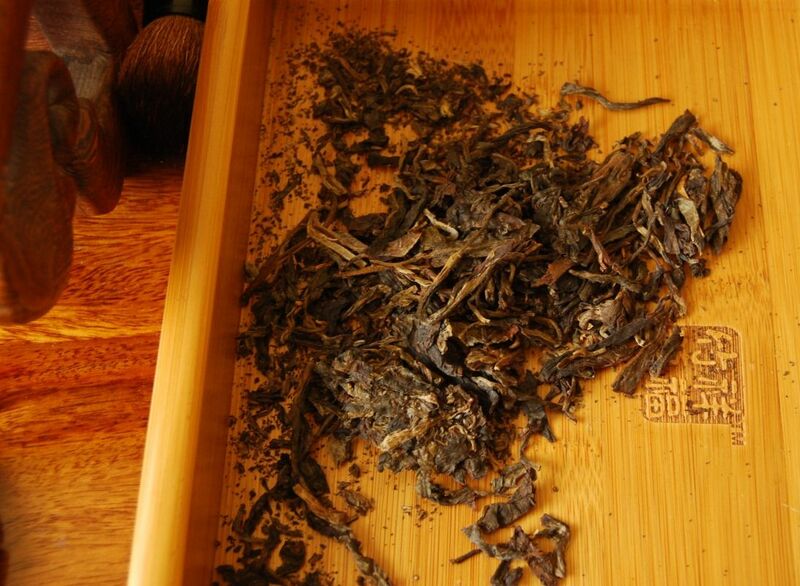 The flavour is sweet cedarwood, that high and sweet nature characteristic of Menghai. "Penetrating sweetness", notes my dear wife. The real treat is the chaqi: this tea is developing a real flush as it ages. Up the spine, down the arms, it feels quite the tonic. Even more unusual, the cooling and almost numbing sensation in the mouth, indicative of real decency. As the infusions wear on, it turns vanilla. After ten infusions, the leaves run out of puff, and the session draws to a satisfied close. 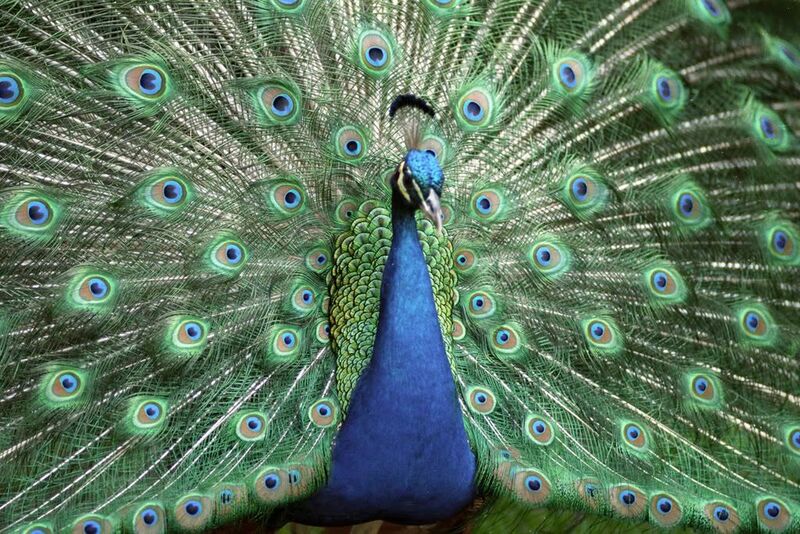 I've only got enough left for three sessions, but I can see myself treasuring each one... My old friend, the 1998 Peacock. 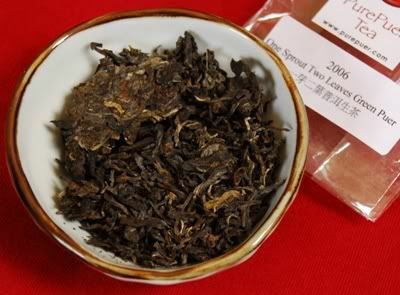 2006 Wenlong "1 Sprout, 2 Leaves"
An organic cake from Pure Puer, distributors of the Wenlong brand in the USA, this is priced at $36 making it fairly inexpensive (compared to the 2006 "1000 Year" cake at $120). Organic rugged goodness is promised. The leaves (pictured beneath) are very small - this looks like tiny spring growth - and they have a very green aroma. 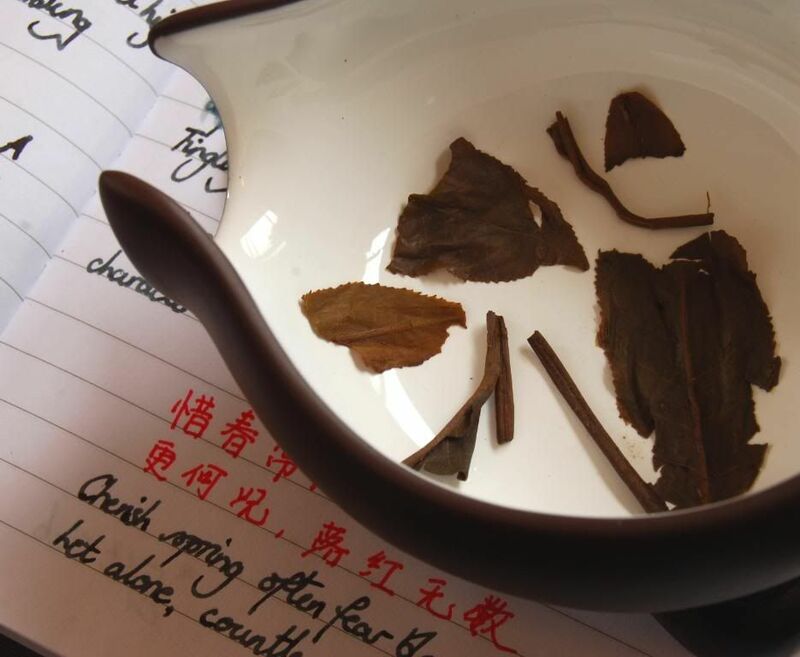 I often don't get on all too well with such teas, as they can lack the potency and depth-of-character afforded by the presence of chunkier leaves. A wenxiangbei [aroma cup] filled with candy-sweet scents presents itself, which have a very decent duration. In the soup, which has a green tinge, a very green flavour, with some of that candy on top. 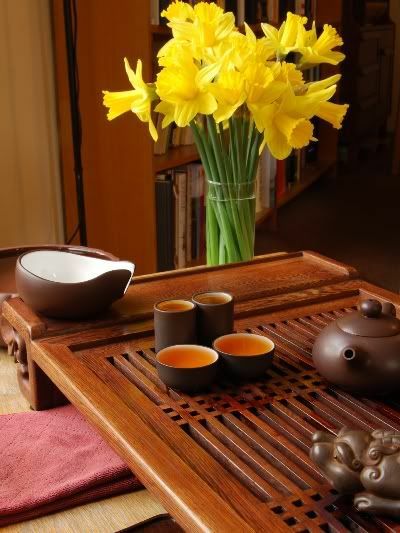 As befits a good spring tea, the chaqi is strong, strong, strong - Wenlong teas are really working my chaqi-sense(tm). I found that the potency of this tea required that I remove leaves from the pot; the result was a gentle honey-like sweetness. It's clean and fresh - but maybe not much more. 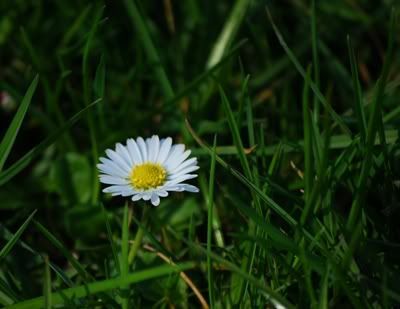 Turning the leaves out, we can see that they are all, without exclusion, tiny. This reaffirms the cause of the lack of complexity, and may go some way to explaining the rushing chaqi. The tea lasts many infusions, but doesn't excite, plodding on its merry way. 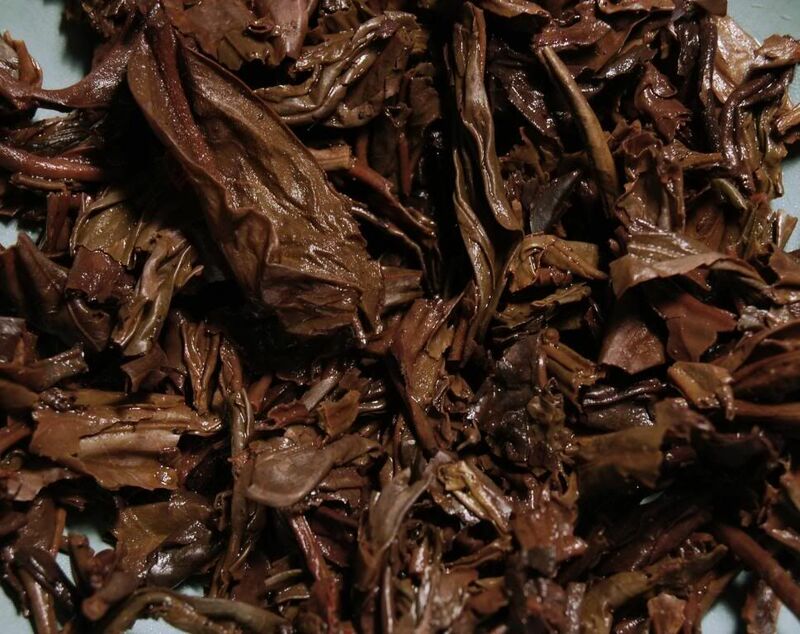 The concept of "high grade" (small) leaves works for most genre of tea, but not so much in pu'er, where at least some larger leaves are required for complexity and depth. My dear wife passes through and takes a cup: "Quite average - I don't think we should own this." I can't disagree. 2007 Xizihao "Xi Shang Meishao"
2001 Chen Guanghe Tang "Mengsa"
2006 Mingyuanhao "Yiwu 858 Puer Museum"
2007 Xizihao "Yiwu Chahuang" and "Kuzhushan"